Finally…the perfect swim towel. In a high-tech world consumers are looking for the best function from even simple, everyday items. Everyone needs a towel to dry off, but conventional towels can take a long time to dry out for re-use. They take up a lot of space, and can get moldy if left in a gear bag. Discovery Trekking has solved these problems with the Ultra Fast-Dry Swim & Travel Towel, and the Extreme Ultralite Sports Towel. Both are crazy-lightweight, but the Extreme is the silkiest, lightest version weighing just 6 oz. for the largest 58’x34” size. These towels are not microfiber! The Discovery Trekking Ultra Fast-Dry and Extreme Ultralite both use technical moisture-management fabric to wick water away from skin. Rather than absorbing into the fibers, the water is pulled around the fibers and spread across the surface where it quickly evaporates… 3-4 times faster than most towels. Silver Ion is embedded into the fiber to discourage bacteria and germs. This means mold and mildew are not able to grow, so the towels stay much fresher. The fabric offers high SPF sun protection, up to 40 for darker colors. They are available in many fashion colors and several sizes… something for every sport. Going to the beach? Sand doesn’t stick to these babies! They not only make an amazing swim towel, but are perfect for travel. 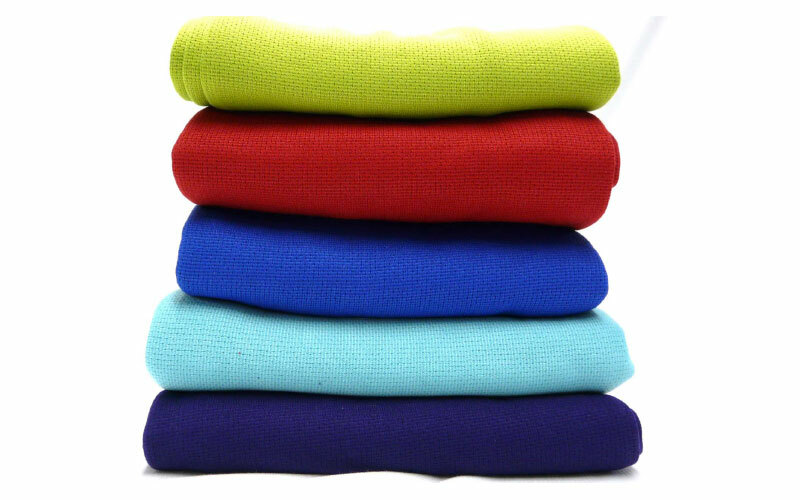 Pack these compact towels in your carry-on, and use it as a blanket on the airplane. Need a cover-up, shawl, or wrap? The stretchy fabric is perfect, and very fashionable. I like the idea of a towel that doesn’t smell like mildew or grows mold, especially After spending a week or more in a swim bag!